DiCaprio plays Hugh Glass, a fur trapper who is betrayed and left for dead by a treacherous member of his team, John Fitzgerald. With nothing but his will, Glass vows revenge on Fitzgerald, and survives against all odds to get it. Iñàrritu reunites with his Birdman cinematographer Emmanuel Lubezki to work on the film. Their latest experiment took them to remote locations of Calgary, where they only had a few hours of light to work with. The film is based on Glass’s events, which Michael Punke turned into a novel called The Revenant: A Novel of Revenge. Will Poulter also stars. 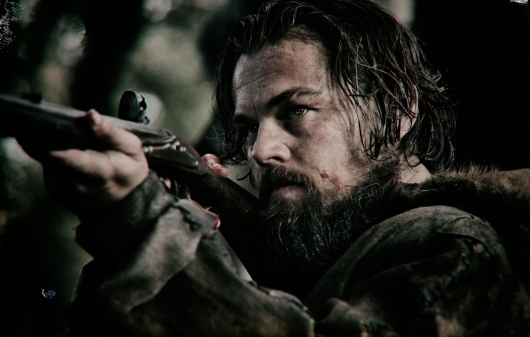 The Revenant opens in theaters on Christmas Day, December 25, 2015, for an awards season campaign, and will be followed by a full theatrical release sometime in 2016.